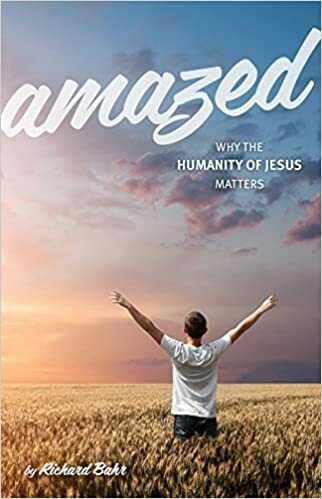 Click here to buy this book on Amazon: Amazed – Why the Humanity of Jesus Matters. A book about God’s Big Idea: to come to us as a person so that we might better (and more easily) connect with him and the Father. The book examines Jesus’ humanity while living among us, leaving us with a refreshed and more effective connection to Jesus. 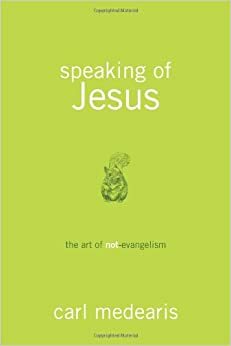 Click here to buy this book on Amazon: Speaking of Jesus – The Art of Not-Evangelism Study Guide. The original book by Carl Medearis must be purchased separately. This book provides a uncommon perspective on how to share your faith with others…by speaking about Jesus. Richard is available for interviews or speaking engagements about his writing as well as his work with the homelessness and the social ministry he co-founded. This organization, Threshold to New Life, works to provide near-term relief while developing a model to reduce homelessness. He will also be grateful to include a promotion for his writing. There is no charge for Twin City area appearances. If appropriate, a free will offering may be taken and/or his books will be offered for sale with proceeds and financial gifts going to support Threshold to New Life. When travel is required, he may require a modest allowance for travel expenses. Due to his active travel schedule, timing may be arranged such that no or little expense reimbursement is necessary.